Simple daisies are simply beautiful. Beautiful light in you photo. The daisies look so happy. Thank you - they are my favourite flowers too. Daisies do look happy, you're right, and I think that's why they're my favourite. 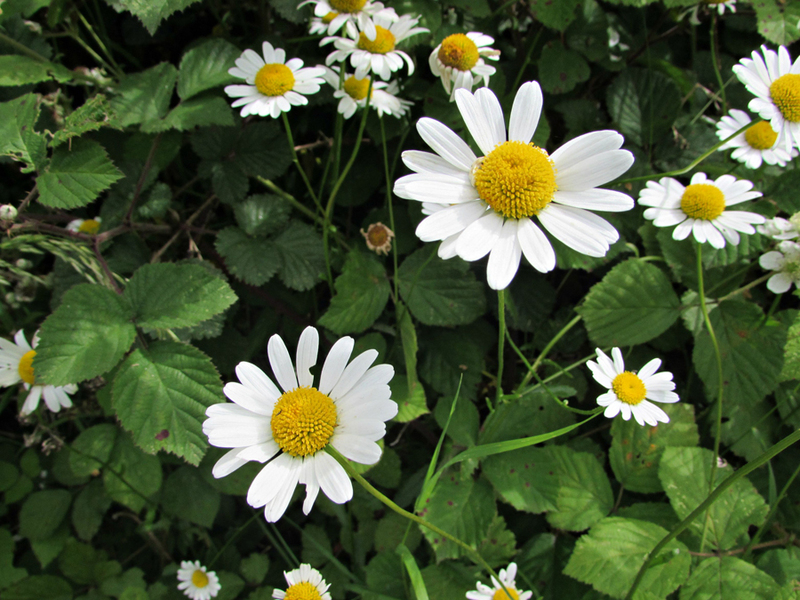 Daisies make me smile - such happy looking flowers! They certainly are happy flowers... Especially the larger variety. Gorgeous flowers and a lovely image. Have a happy new week! Thank you, Eileen. I hope you're having a lovely week. Hi! Nice capture. I looked your former posts. Your macro photos are breathtakingly beautiful. Thanks for sharing. Ah, thank you. Still very much practicing when it comes to macro. Thank you, Polly - this is a favourite of mine.